We are a small family firm specialising in supplying French tablecloths here in the UK. To purchase our beautiful French tablecloths and accessories please click here to transfer to our main e-commerce website www.frenchshopping.co.uk. There you will find French tablecloths with designs inspired by the colours and traditions of Provence. Choose from lemons, olives, lavender, cicadas (crickets! ), roses as well as traditional Provencale designs from Marat D'Avignon in a range of colours. Round tablecloths (180cms diametre) and rectangular tablecloths to fit a variety of popular table sizes ( 200 cms, 250 cms and 300 cms length). We also have a range of cotton tablecloths coated with a fine matt acrylic which wipes clean and still drapes beautifully. 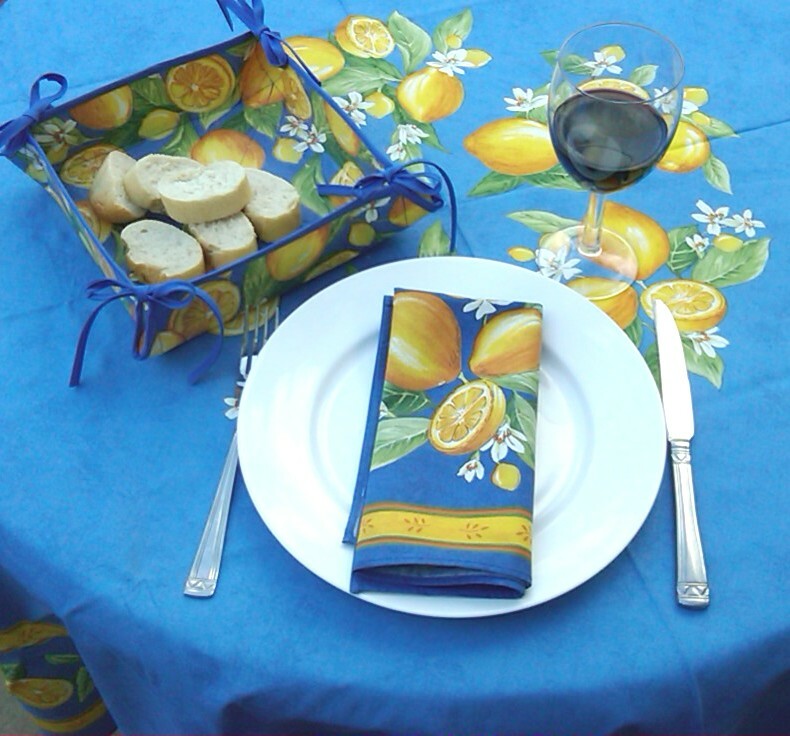 All tablecloths are Made in France and machine washable. Postage and Packing is FREE to UK postcodes only, shipping charges apply to destinations outside of the UK. Email us at sales@frenchshopping.co.uk if you have any queries. You will also find us at The France Show in Olympia, London in January.